Dress up any outfit with the charmingly cute Etro™ Flat Sandal. Open-toe thong silhouette with colorfully patterned straps. Lightly cushioned patterned fabric footbed. 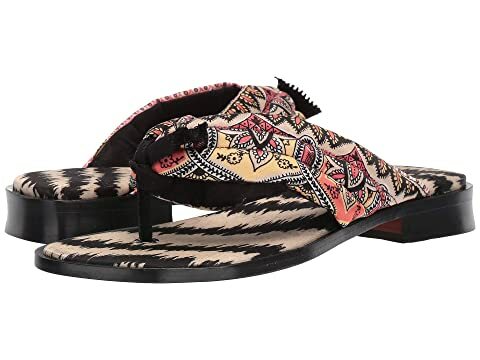 We can't currently find any similar items for the Flat Sandal by Etro. Sorry!